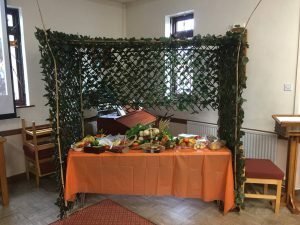 Rhondda Fach’s harvest festival this year took on a new dimension with the celebration of Sukkot, or the Feast of Tabernacles, a biblical Jewish holiday held on the 15th day of the month of Tishrei. 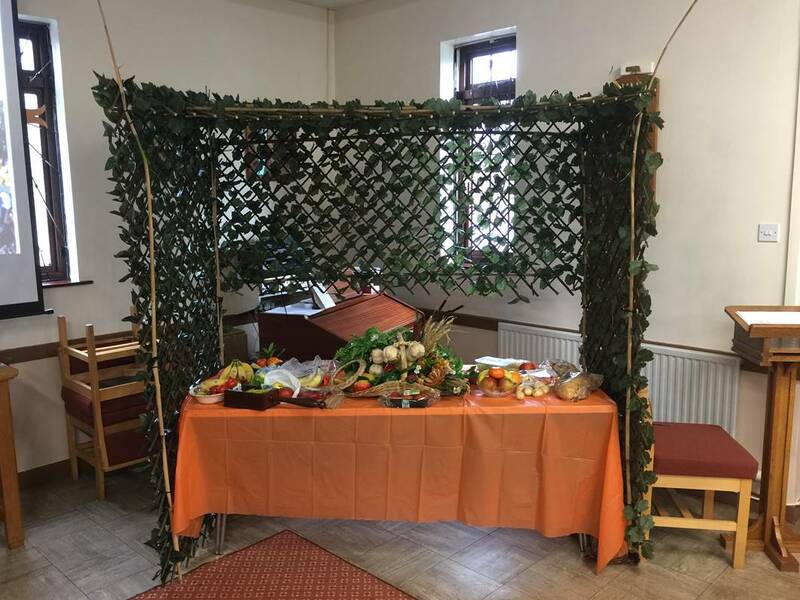 Sukkot commemorates the 40 years spent by the children of Israel wandering in the desert. 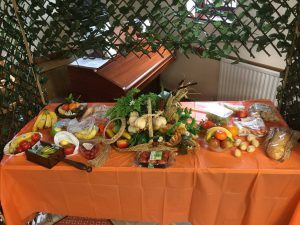 Additionally it is a harvest festival and is so joyfully celebrated that it is known in Jewish prayer and literature as the Season of our Rejoicing. 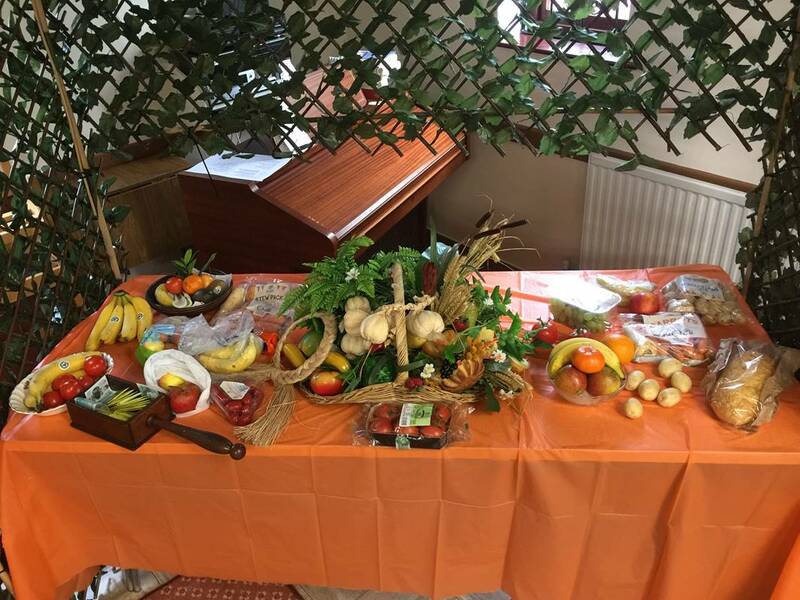 Cafe Church was also celebrated on Sunday October 15th. You are cordially invited to join us next February as we explore the story of Esther through pantomime. Date to be confirmed.